I've been a bit neglectful of my blog of late, especially posting about finished projects. 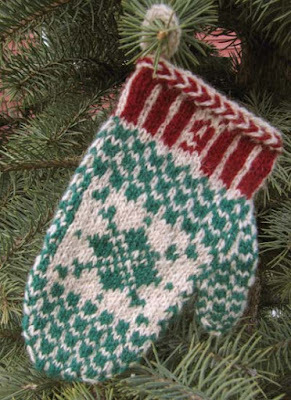 There will be a number of separate posts about the Advent Mini-Mittens in the next couple of weeks. I'm counting each mitten as a project because a fair amount of work goes into each one - and I want the tally on the right sidebar to reflect that. I've just finished mitten #17, but first I need to report on mitten #9. It was started late in December but didn't get finished until mid-February. It was a busy time over the holidays. Later, I'll add mittens #7 and #8 as they were finished in 2015.